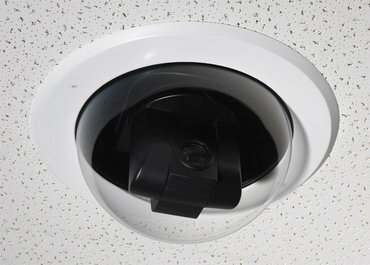 The Indoor Flush Mount Domes provide integrators with a secure camera housing designed to protect the PTZ camera against damage that can be caused when cameras are exposed to the elements and vandalism. The clear and smoked optically correct domes provide for distortion-free viewing that allows the camera operator to position the camera anywhere within its pan/tilt range. 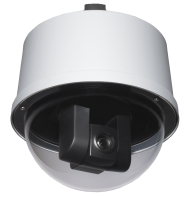 The Indoor Flush Mount Dome kit includes a 12-inch (30.48 cm) clear flush mount dome enclosure and internal brackets to support the Vaddio RoboSHOT and HD-Series PTZ Cameras (camera not included).